With mortgage rates at historic lows, it is tempting to buy a new home or refinance right now. But will you qualify? Here are some quick credit tips from Zillow to help you see where you fit in. – Your credit score should be at 620 or above. – Your credit cards should carry a balance no more than 30% of your credit limit. – Lenders look favorably on borrowers who have held the same job for two or more years. – Your loan-to-value (LTV) ratio should be 80% or less. Loan to value is the ratio of the amount of money you want to borrow versus the actual value of your home. A down payment of 15 to 20% will help lower your LTV. 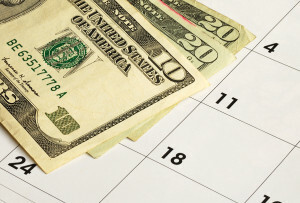 – If you’re self-employed, be sure to report your Schedule C income. – Don’t transfer money between bank accounts during the mortgage qualification process. It adds extra documentation to the process. – Plan to show a lender two years of tax returns and W-2s, bank statements and pay stubs. Still have questions? Give me a call at 206-391-0388. I can help you or refer you to a local mortgage lender that I know and trust.